All hail the tale of Becky Something, the brilliant and brash frontwoman for the 90s rock band Something She. Becky is foul-mouthed, nihilistic and incredibly talented. Mother of one, bandmate to two, and friend to none, Becky is at the height of her career and the top of the party game—with only one direction to go. Filmmaker Alex Ross Perry, best known for his literary-inspired works like LISTEN UP PHILIP and GOLDEN EXITS, changes modes here, giving us a ride on Becky's freight train to self-destruction. 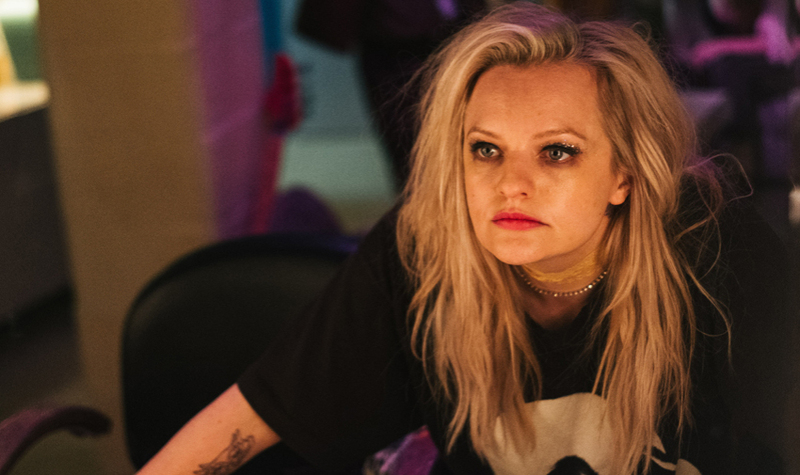 Drawing from examples of experiential filmmaking by the likes of John Cassavetes and Paul Thomas Anderson, Perry whips his characters and sequences into a frenzy of substance abuse and personal combustion as we follow the starlet through backstage antics and hostile recording sessions. He keeps the audience on their toes as lengthy tracking turns into uniquely telling angles (courtesy of 35mm cinematography from director of photography Sean Price Williams) and his sudden shifts in tone hit us with waves of emotion. The already accolade-showered Elisabeth Moss is a tour de force as Becky, the eye of this hurricane, tearing everything she cares about apart until all that is left is to rebuild.